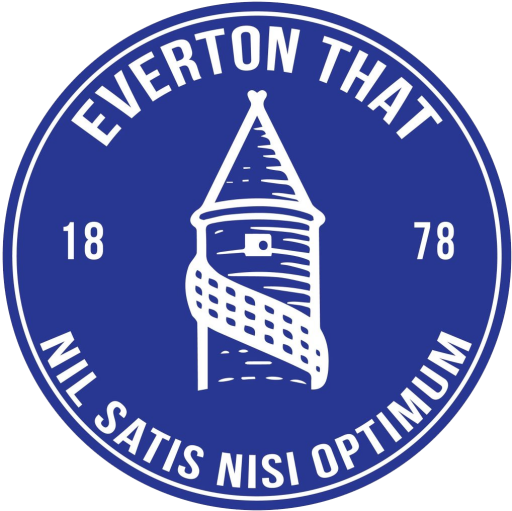 Everton returned to Goodison Park once again in need of putting a few wrongs right from their previous performances. This is how we felt our players got on. Manager rating – 1 – That’s a rating down from last week because he still hasn’t realised the problems. When you set a side up negatively at home it breeds negativity into the players creating the severe lack of confidence we see in them currently. When we were 1-0 down and he made a like for like change, again, and took Tosun off, the reception that decision got was more than justified. At some point a manager will realise that 4-2-3-1 doesn’t work for this group of players, it’s failed for Martinez, failed for Koeman and is following the same path for Allardyce. Jordan Pickford – 5 – One of only a handful of our players that had any kind of urgency. Showed he was visibly frustrated and annoyed with our passing and was left high and dry by his defence for their goal. JonJoe Kenny – 4 – The youngster needs to start overlapping his winger and back himself to then get a ball into the box. Overall he is defensively sound, but the reflection of a poor defensive showing might make some think otherwise. Ashley Williams – 2 – Woeful is polite. Looked scared on the ball and was shocking defensively for their goal. After some good performances initially under Allardyce, the constant swapping and changing from his manager seems to have done him more bad than good. Distribution is not acceptable either. Mason Holgate – 3 – The youngster has had a tough couple of weeks and seemed a little distant and disinterested today. Struggled massively to defend against Rondon and positionally was below his previous standards. Does provide more ability to find a pass than Williams, though. Cuco Martina – 3 – We all the situation with Martina. Scared to get forward, yet manages to be constantly out of position. Can’t string a pass together and the sooner we have a replacement, the better. Morgan Schniederlin – 2 – The Frenchman has no interest or no pride in his performances and insists on doing a 360 spin before making a pass, that usually goes sidewards or backwards. Refused to make a tackle all game and their attacks bypassed him. The likes of Tom Davies and obviously Idrissa Gueye offer more. James McCarthy – 6 – Genuinely devastated for him. If the other players around him gave the same passion and pride in their performances as he does then we’d be flying. The tackle he made that ended his game was typical McCarthy and summed up how much he’d give to the cause. Another long layoff ahead and hopefully there is a way back for him from a very serious injury. Theo Walcott – 7 – One of very few positives in the game, has the burst of pace we need and looked ready to make things happen. Would have liked to have seen him try and beat his man a couple more times, but created our goal with his movement and touch to Niasse. Nikola Vlasic – 4 – Holds an obvious threat but looked horribly out of touch with the game. Didn’t get on the ball enough and when he did was sloppy on the ball, I would like to see Ademola Lookman get an opportunity and run of games now, over Vlasic. Gylfi Sigurdsson – 4 – He gave a lot of energy but was too far away from the striker at crucial moments to make it worthwhile. Wasn’t his best day with his distribution, but he wasn’t the only one. Cenk Tosun – 5 – Didn’t get one bit of service all game, much like the game at Tottenham. The number 10 needs to play closer to him for a sole striker to be effective, if not Allardyce needs to bite the bullet and provide him some support in the form of a second man upfront. Yannick Bolasie – 5 – An obvious threat but looks as though he’s carrying a tractor tyre on his back at the minute, an improvement in fitness is a must. Hopefully confidence will come with game time. Wayne Rooney – 4 – Made no impact on the game and was often chasing the shadows of the opposition. Needs to regain his form in the basics disciplines such as passing and movement. Oumar Niasse – 5 – Got the goal, but needs to start the games along side Tosun. Makes the running that would be so much more effective with another striker next to him. TACTICAL ANALYSIS TO FOLLOW, ON SUNDAY MORNING.